A performance of loved Greek songs will take place for one night only in Sydney this weekend. Sydney band Out of the Blue will perform alongside Melbourne’s The Anthea Trio for a stunning performance of favourite Greek classic songs under one roof. The ten musicians will feature some of Australia’s best known Greek Australian talents such as: Petros Apostolidis; Themistoklis Ioakimidis; Jacob Papadopoulos; Panayioti Kalandranis; Dimitri Vouros; Stan Valacos; Peter Milonakis; Achilles Yiangoulli; Anthea Sidiropoulos; Georgette Giatis and Panagiota Bintas. 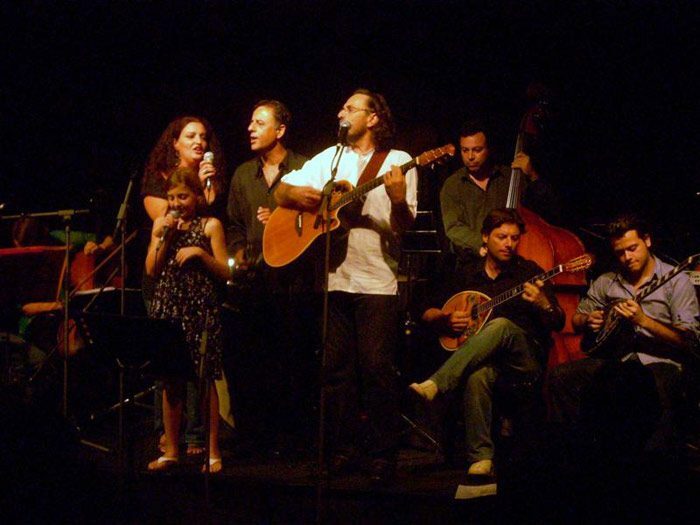 The performance entitled The Scattered Songs (ΤΑ ΣΚΟΡΠΙΑ ΤΡΑΓΟΥΔΙΑ) will be a night of Greek musical collaboration.